Love these colors....they feel old-fashioned which is what I get with her dress and shoes. Hey - your blog got a facelift! ; I like! Very cute & adorable card!!! Love that precious image, and the flowers are a very pretty touch. Oh LOVE it! 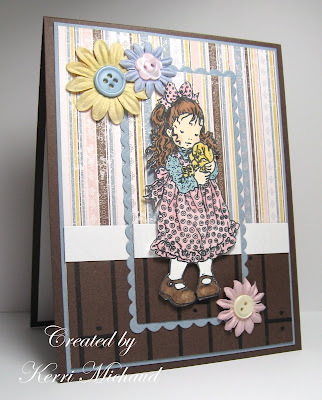 Love how you did the scallop frame!